The mod adds to the game full fishing. You can cast a float for fishing. Unlike other mods in this GUI interface to present usability. 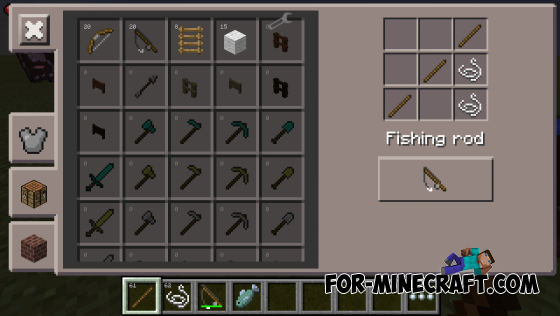 Go to the water with a fishing rod and click on the yellow mugs with the sign of fish in the right corner.